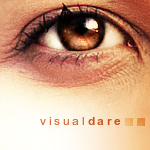 What is the Visual Dare? Every Tuesday midnight (EST) I post a photographic challenge (sometimes called a “VisDare”) that writers may use to help kickstart their work-in-progress, or use as an individual exercise to get the creative juices flowing again. The challenge is to craft a story based on that photo – in 150 words or less. The photos are carefully selected black-and-white stills, with credit always given to original authorship. (If I can’t credit the author, I don’t use the photo.) I leave the dare up for a week to give ample opportunity for participation. (Posting time is from midnight Tuesday EST to the following Tuesday midnight). Post entry in the comments. Entry is longer than 150 words? Post the link to your blog in the comments. Please limit 2 entries per photo prompt, please. Don’t forget to read and comment on others’ entries! That’s it! No judges or rankings. PG rating is maintained in deference to younger or tender-at-heart writers for whom the VisDare is a first step into the wider online writing world. In short: The VisDare is for community, creating, and no-pressure sharing. Make your entries public or not. It’s all up to you. If you post VisDare entries on your blog, feel free to add the badge at the top of the page (created by the fabulous Amanda McCrina). Link it back to this page (or the specific VisDare you joined), and claim your corner of the VisDare family!!! Want to see examples? Click HERE for previous VisDares.